Our most popular pieces are available right here! All prices include shipping. The very popular feather earring now as a necklace with a beautiful bronze colored arrow charm. 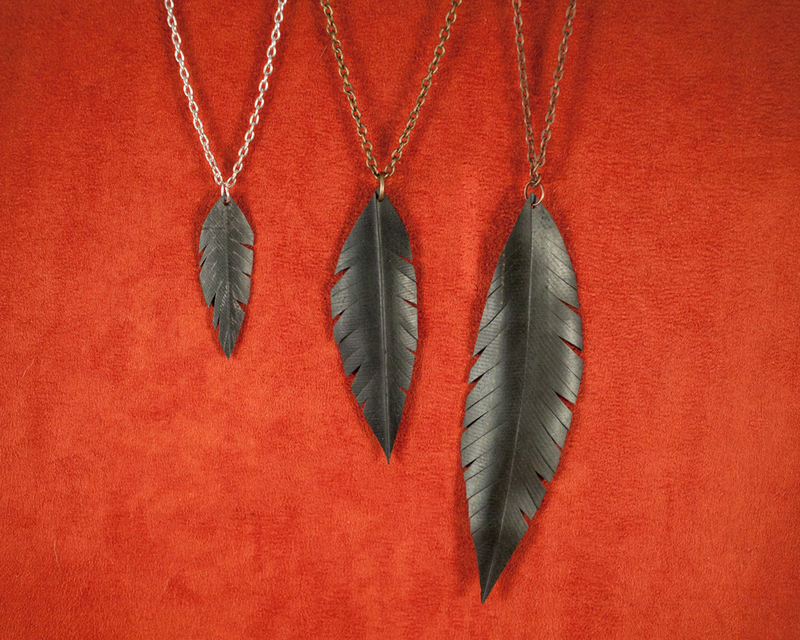 Hand cut out of bicycle inner tube, this necklace is designed after bird feathers. 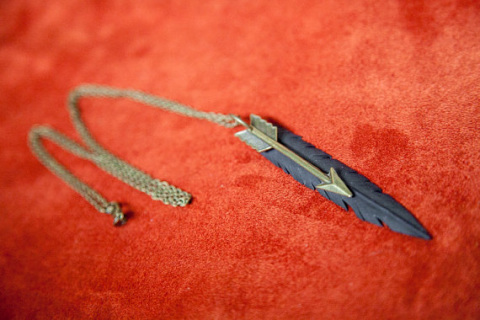 Each "feather" has its own personality. Chain is 15" long with lobster clasp closure. All items are back from cleaned recycled bicycle inner tube.